PRIVATE MUSIC LESSONS in the San Francisco East Bay Area and on Skype! 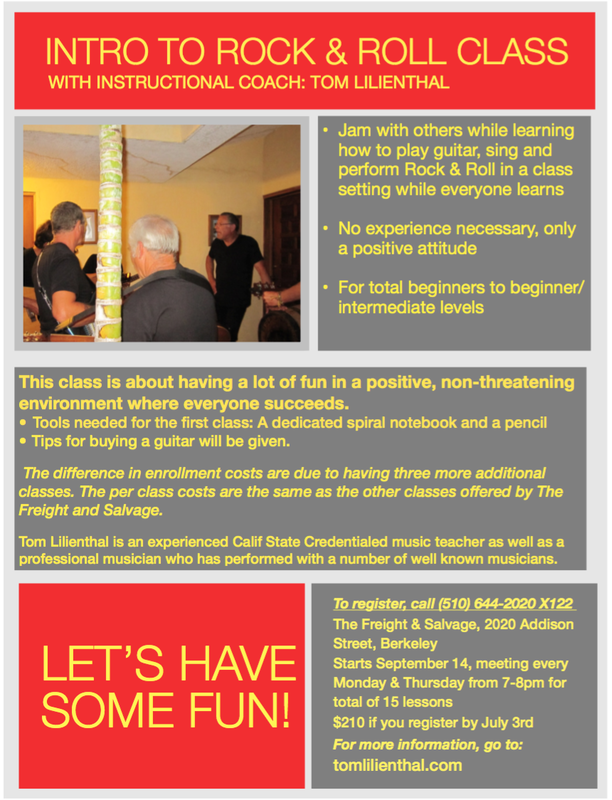 Tom Lilienthal has been a California credentialed public school instrumental music teacher for many years. He now offers private lessons on electric bass, music theory and improvisation. Children, adults and beginners to professionals welcome! 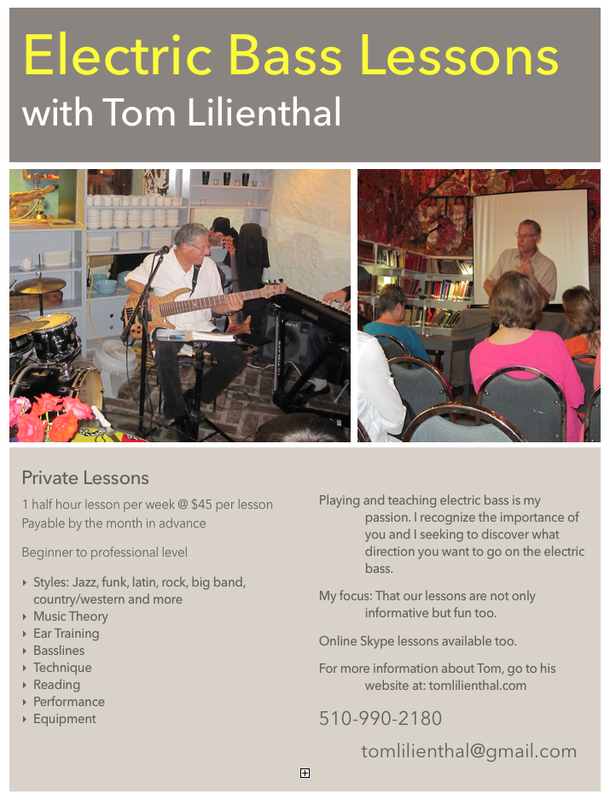 “I most recently enrolled in an “Introduction to Rock and Roll Class” offered by Tom Lilienthal. My purpose in doing so was to improve my guitar playing. I found that I received much more than that. Following is a listing of what I obtained from taking Tom’s class. – Instruction from an individual who has been a teacher all of his adult life, working with high school age children to 75 yr. old adults such as myself. – A general understanding of guitar playing skills. – How to perform on stage. – Live, on stage performing experience, before a live audience. – I met other guitar players and we jam weekly. – Much knowledge, understanding, and experience in playing “Rock and Roll” as well as other forms of music. WATCH a Slideshow of the Intro to Rock & Roll class before, during and after the performance. WATCH a Slideshow of the previous year’s class at their first performance on February 3, 2011.